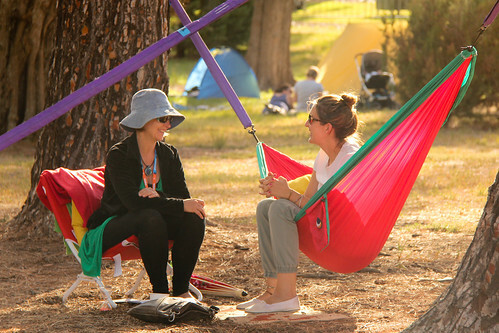 Last year at WOMADelaide we had a wonderful team of hammocktime guides who generously lavished their care and attention on our guests (including sometimes holding parasols to shade them from the sun, bless). They did a marvellous job and I was super-proud of them taking my little idea and turning it into a beautiful shared experience over four hectic (fully booked!) days. And you know what was the best thing about it? At the end of the run, after working so very hard, they all turned round to me and asked when we would all be doing it again! Not wanting to disappoint, this year we are running at Adelaide Fringe, for the whole season, with a special new evening version. That’s 23 days and 11 nights of hammocking! We are therefore looking for more volunteer guides to join our team. Is that you? The run starts on 12th Feb and ends on 13th March. Daytime sessions are 5-9pm, Weds-Sun inclusive, and evening sessions are 9.30-10.15pm on Weds, Fri and Sat (with a bit of time at the start and end to help set up and pack down, and a bit of flyering too). We will have four hammocks, so for each session we need four guides (one per hammock), plus a ‘front of house’ person to welcome guests, take care of their bags (making sure all mobile devices are switched off and safely stored until the end) and generally keep things running smoothly. This year’s new feature is a special set of evening sessions which last longer (by popular demand!) and come with fairy lights, musical accompaniment and an optional glass of fizz. We have a few fabulous musicians lined up but thought we’d open up a call for more of those too. You will of course have to be analogue – no technology is allowed anywhere near the hammocks (except, um, fairy lights…). Four hammocks are rigged in trees, each one with their own guide. The session starts by delivering a short guided meditation to get the guests into the swing of things (pun fully intended!). Then they just chill out and you stay quietly next to them in case they need anything. 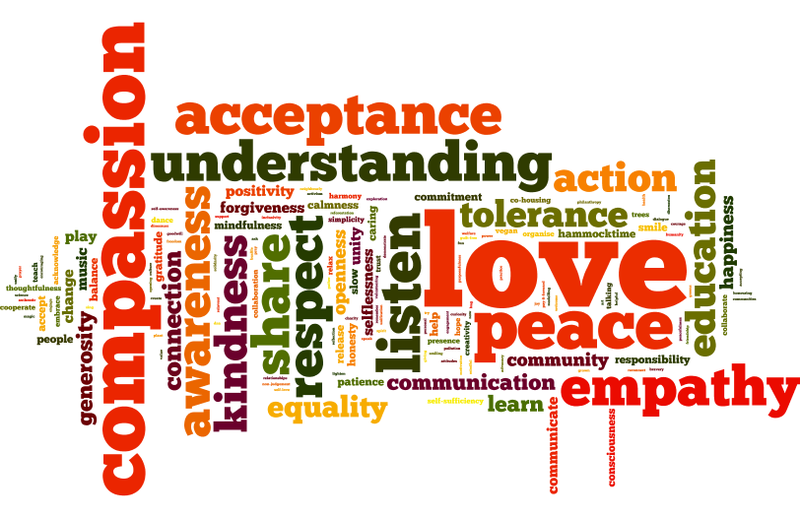 At the beginning of the session (as they come in, and again within the guided meditation introduction) we will have posed three social change questions, asking for one word answers to each of them. At the end of their session the guests tell us their words and I will turn them into a data visualistion set (see below). Those anonymised collections then become a snapshot of the moods and values of that place and time. A friend once described it as “activation through inaction”, which I love! We have a bunch of Adelaide Fringe and Gluttony Artist Passes, so depending on how many sessions you can cover we will either share them amongst the team or give you a dedicated pass to keep for the whole festival. In case you’re not familiar with how artist passes work, let me assure you they are golddust and highly sought-after each year. They give you discounts to food and drinks at most Fringe venues across the city; priority access to the Artist’s Bar just behind Gluttony (so you get to swan through while everyone else has to wait in verrrryy long lines! ); free entry to events which offer artist pass entries (which is almost all of them) and discounts to events that don’t offer free artist pass entries. That’s worth a whole lot of money over the festival month! Excellent! Well the first thing is to have a look at the schedule – http://rbrt.cc/hammocktimeADLfringe – and let me know which sessions you can cover. Then drop me a line to guides@hammocktime.cc or via private message on the hammocktime Facebook Page, and we’ll take it from there! Know other people who you think this would suit? Feel free to pass it on!